Erich J. Moffitt is an American artist born in 1982 in the southern United States. Erich spent his formative childhood with his family right in the heart of Austria in Europe. He traveled a lot with his family around the world, studying and embracing different cultures and traditions. This lifestyle has influenced Erich’s passion for art. His surrealistic paintings are not just traditional paintings of the artist; his art is a whole story with many details to investigate! 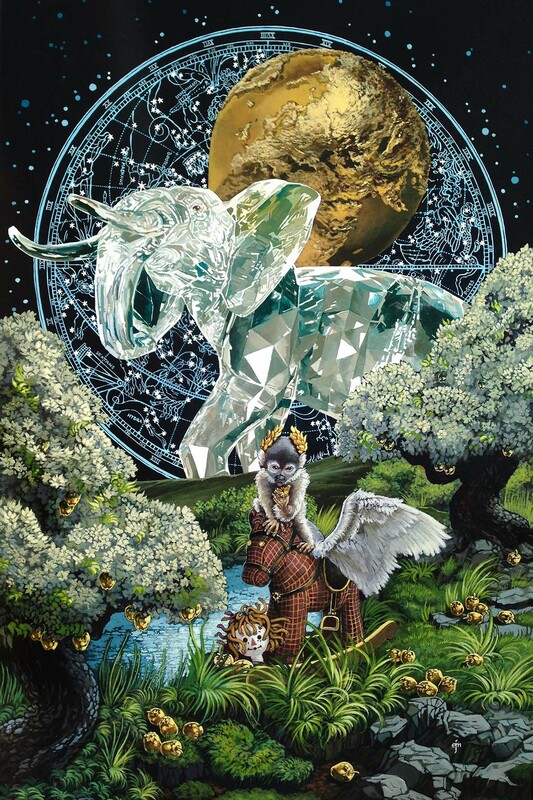 Very often Erich J. Moffitt depicts classical themes from the legends and myths giving them modern interpretations. After returning to the United States, he received his Bachelor of the Fine Arts degree from the University of North Carolina at Charlotte in 2007. He currently lives and works near Seattle, WA.